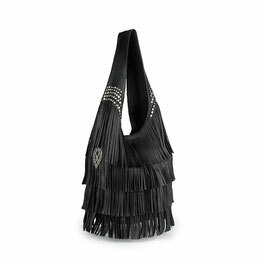 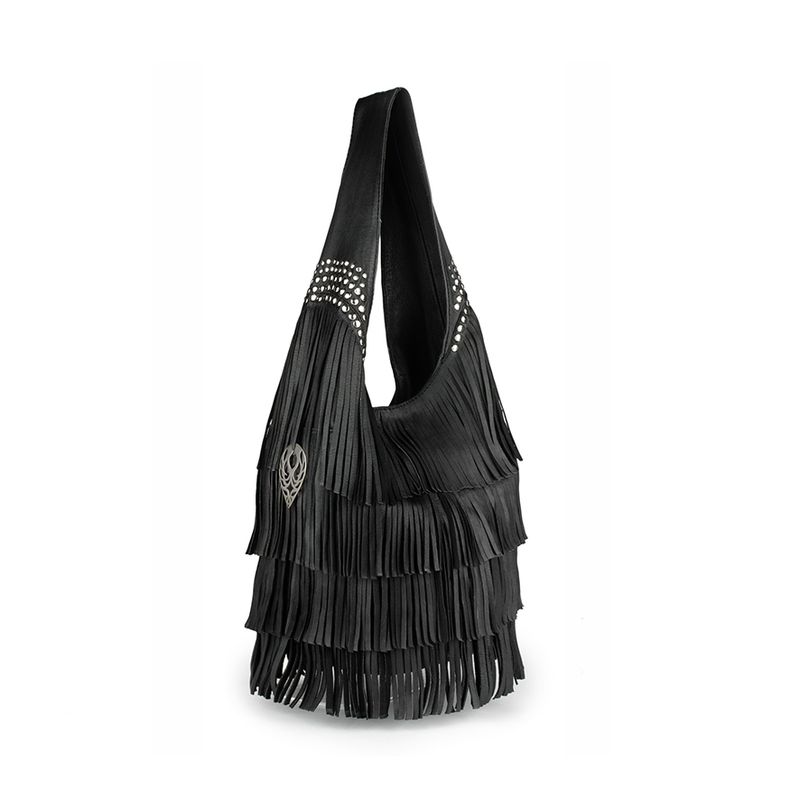 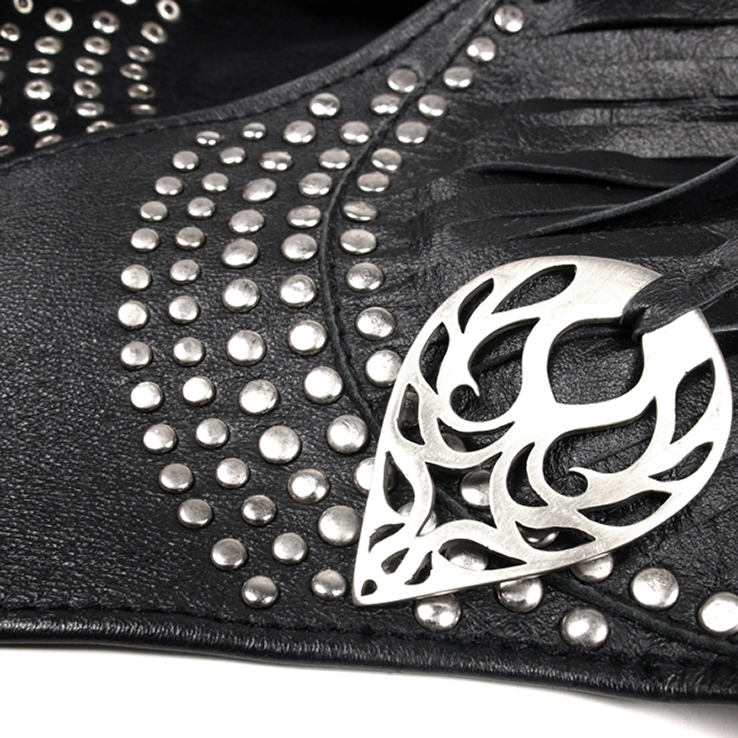 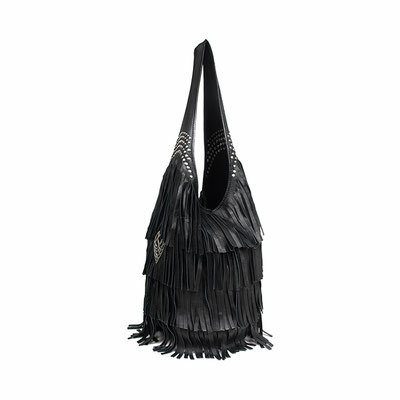 This beautifully handcrafted, bohochic hobo bag features fringes and silver studs embellishments. 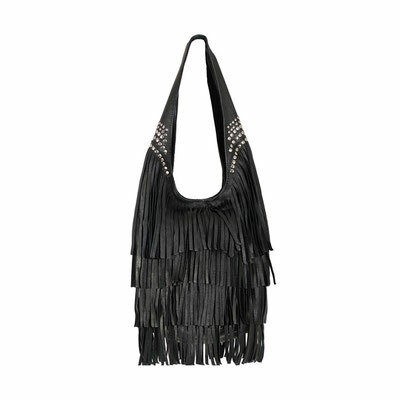 Pair with jeans or an evening dress for that chic and casual look. This bag is big enough to hold all your essentials - your wallet, smartphone, sunglasses, keys, makeup safe and secure inside the fabric lining and has a zipper pocket inside. Bag closes with a canvas pulling cord on the inside for extra saftey.